Scott's Web Log: Unbiased Medical Advice? 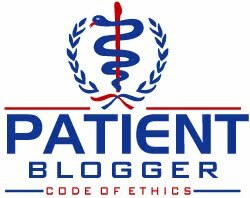 First of all, a hat tip to Peter Rost, as the physician and former drug marketer for Pfizer turned whistle-blower and blogger featured this story on his blog late last week. At issue is something Americans, and perhaps too often, patients with diabetes fail to consider, and that is when their doctor(s) recommend the latest and greatest new drug, insulin, device or other treatments, sometimes their recommendations are influenced by subtle and some not-so-subtle marketing efforts from the drug and medical device companies. Last year, a study in the New England Journal of Medicine found that 94% of more than 3,000 physicians surveyed reported some type of "relationship" with the pharmaceutical industry. Although many of those interactions were seemingly innocuous, such as receiving free food in the workplace and/or free drug samples, and the usual promotional junk such as free pens for the office, post-its with the drug name plastered all over them, etc., more than a quarter of the physicians surveyed by the NEJM also reported receiving noteworthy payments for consulting, giving lectures and even enrolling their patients in trials. Doctors always claim that their prescribing habits are not influenced by such practices. They say things like: "It doesn't influence me at all. They're not going to buy my soul with a [name any gift from a drug company]." But the evidence suggests that their actual prescribing behavior differs from what they say. According to one writer, a letter published in the Journal of the American Medical Association illustrates just how effective this type of drug advertising can be. It described a patient who came into the hospital with an infected insect bite. The intern who first saw the patient wanted to prescribe an inexpensive form of penicillin, which is usually the drug of choice for a minor infection. But the resident on duty overruled the intern and favored a more "modern" choice for that particular patient. (The term "modern" is favored by Novo Nordisk A/S when describing its insulin analogs.) In the JAMA example, the resident decided the patient had to have a brand-new antibiotic -- to the tune of $183 a day. The attending physician who supervised the house officers later checked into the incident. It turned out that the resident had just been wined and dined by the drug representative whose company made the new antibiotic. Who says this kind of marketing doesn't influence doctors' prescribing behavior? So far, a Minnesota law prohibits companies from giving gifts worth over $50 a year to docs, but many other states have no laws on the books related to such gifts, which often include such stuff as free pens and notepads. However, until last year, it was also common to receive more elaborate, all-expense-paid golf weekends in Pebble Beach or other luxurious golf resorts, or simply fine dining in top local restaurants paid for by the drug reps (on their company's tab, naturally). This year, a number of medical schools have recently moved to ban such common activities as drug-company sponsored pizza parties for medical studies, but many have yet to move on this to remove the subtle but powerful influence. We have seen this over and over again ... with insulin, the claim is that new insulin analogues are the best possible patient care (In spite of the fact that not one, but at least 3 major meta-analyses have demonstrated such claims are unsubstantiated by clinical evidence). Most recently, a press release by another would-be insulin maker based in Israel have proven that costly insulin analogues are no better than the plain old stuff they replaced. With type 2 diabetes medicines, the big increase in 2007 spending was due largely to a single new drug: Merck's Januvia, even though the benefits are not fundamentally better than those offered by a slightly older drug, Byetta. On Insulin analogues, many people swear the analogues are much better for them, but its worth noting that widespread population samples have yet to prove they are superior even if your own individual results are better with these products. The big question is whether we believe the medical profession is truly as objective and unbiased as they'd like us to believe? Lately, the clinical evidence seems to suggest otherwise! I found a compliant doctor. She was neither curious enough to investigate, research or advocate on my behalf, but did comply by producing the prescription necessary for importation. Each personal import requires a new prescription (like somehow I'm going to get rid of this need for insulin?) On my third return visit to this particular doctor, she enthusiastically told me about her recent trip abroad, her VIP tour of the Novo plant, etc. She reluctantly wrote my needed prescription . . . but not before she inserted an endorsement (recommendation) that I try Novolog; this modern insulin, made in a state-of-the-art facility, had so much research behind it, she could not understand why I would NOT want to use it. Her heretofore lack of interest regarding insulin was now replaced with the talking point: "Why would you want to take animal insulin? It's so dirty." I stood my ground, obtained my Rx, and began searching for a new physician. Her previous nonchalance regarding insulin stood in stark contrast to her (post-trip) glowing endorsement and encyclopedic knowledge of the product. Sure . . . I don't think doctors can be influenced! NOT!